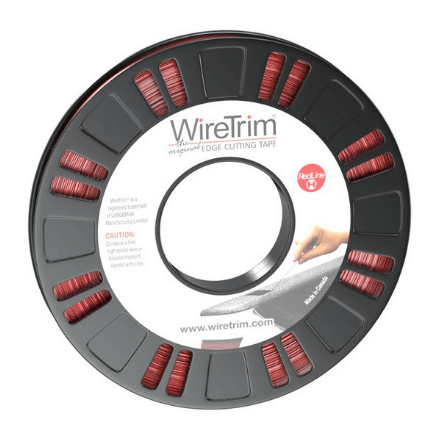 RedLine wire trim tape incorporates a transparent, double-sided polyester tape with a unique high/low temperature, chemical-resistant adhesive. RedLine has a high-tack, full body adhesive, developed for difficult applications, particularly useful on most plastic surfaces, including vehicle trim components such as tailgate guards, fender skirts and rocker panel moldings. The signature red-tinted polyethylene release liner is easy to locate, flexible and tear-resistant, important elements for fast tear-off in a production environment. The liner being translucent, also allows for see-through inspection. RedLine is very flexible and conforms to curves and tight corners while maintaining excellent body and feel. RedLine is a premium product, well suited for application to die-cuts and other specialty masking systems. The special physical properties of RedLine allow for quick, residue-free removal. 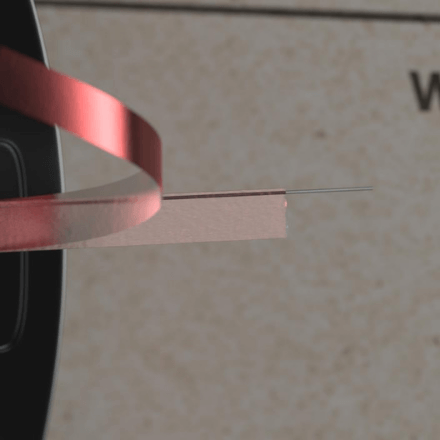 RedLine incorporates a transparent, double-sided polyester tape with a unique high/low temperature, chemical-resistant adhesive. RedLine has a high-tack, full body adhesive, developed for difficult applications, particularly useful on most plastic surfaces, including vehicle trim components such as tailgate guards, fender skirts and rocker panel moldings. The signature red-tinted polyethylene release liner is easy to locate, flexible and tear-resistant, important elements for fast tear-off in a production environment. The liner being translucent, also allows for see-through inspection. RedLine is very flexible and conforms to curves and tight corners while maintaining excellent body and feel. RedLine is a premium product, well suited for application to die-cuts and other specialty masking systems. The special physical properties of RedLine allow for quick, residue-free removal. 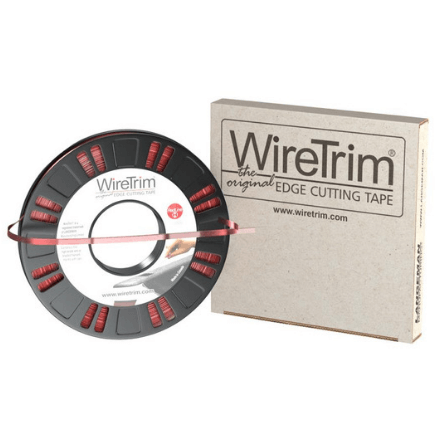 The main function of WireTrim Edge Cutting Tape is trimming through strong coatings from the bottom up. The method involves the use of a small high-strength cutting filament, adhered to the edge of adhesive tape and positioned on a surface along the desired trim line where the coating is to be applied. After applying a coating, the filament is pulled upwards from beneath the new coating, achieving a clean cut from the bottom up, separating the masking material and tape for easy removal from the border of the new coating. The method produces a perfect edge without leaving a mark or in any way damaging the exposed surface or disturbing the adhesion of the new coating.